San Antonio—With a major Air Force unit, the year-old Build Sec Foundry startup incubator, and new dedicated facilities at the port, San Antonio has a host of assets positioning the city as a center of innovation and entrepreneurship in one of the most in-demand specialties of the broader IT industry: cybersecurity. Build Sec, housed at the co-working space Geekdom and funded by private donations and the nonprofit 80/20 Foundation, helps entrepreneurs—particularly military veterans—start cybersecurity companies. Its three member companies, Infocyte, Privasera, and Level Effect, receive office space, accounting, legal, and marketing advice, and mentorship from industry experts, says Will Garrett, a Build Sec manager. The hope among the city’s tech industry leaders is that these nascent firms will find their legs and join a growing number of cybersecurity businesses based in San Antonio or relocating here, attracted by opportunities such as contracts with the 24th Air Force, a division of the U.S. Cyber Command that directs the cybersecurity for the Air Force. The University of Texas at San Antonio also has top-ranked graduate and undergraduate cybersecurity programs. Infocyte is off to a good start, raising a $3.4 million funding round earlier this year from lead investor LiveOak Venture Partners, based in Austin, TX. The company uses a threat-hunting method to seek out hidden or dormant hackers before any malicious software can strike. Privasera, meanwhile, sells a data security service for applications and application developers, Garrett says. It was co-founded by University of Texas at Austin electrical and computer engineering professor Mohit Tiwari and Casen Hunger, a PhD candidate at the school. The duo split time between Austin and San Antonio, Garrett says. Level Effect, founded by Greg Ake and Rob Noeth, veterans of the Air Force and U.S. intelligence community, has developed technology akin to a botnet that can be used as a defensive tool rather than an offensive one, Garrett says. Build Sec wants to see its startups attract funding or be acquired by larger companies. “Either would be a positive story for San Antonio and the market,” says Garrett, who is also the executive director of CyberSecurity San Antonio, part of the local chamber of commerce, and a leading advocate for development of the industry cluster. One other perk of the incubator is that startups also may be able to meet with larger businesses, such as Rackspace or USAA, to discuss their technologies and get feedback, which also keeps those bigger companies abreast of emerging ideas, Garrett says. As San Antonio makes its name as a cybersecurity hub, Port San Antonio is playing an significant role. Port San Antonio, which was established as a public entity to attract new businesses and jobs by redeveloping an old 1,900-acre Air Force base near the 24th Air Force, is planning a 90,000-square-foot technology building intended for cybersecurity and other advanced technology companies. The idea is to tap companies’ interest in in working with the government, including businesses that don’t traditionally contract with military units like the 24th Air Force. 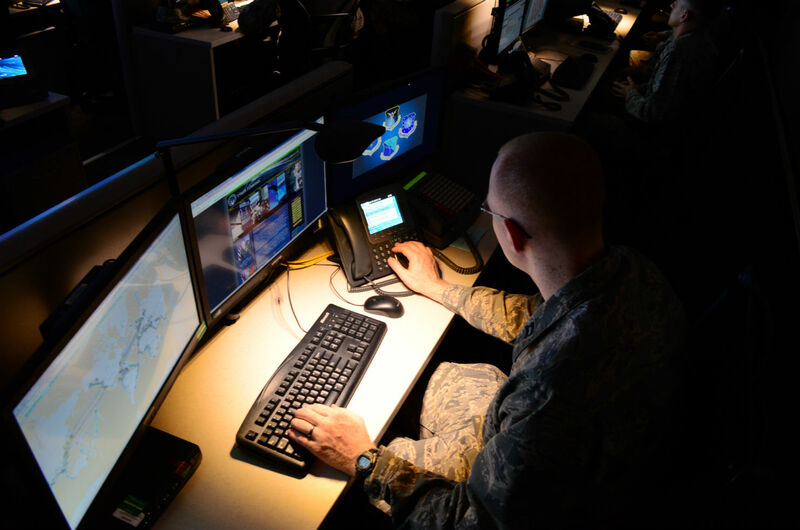 The port is also developing a “cyber proving ground,” which will let the Air Force and other agencies test out cybersecurity technologies from companies and academics that don’t necessarily have the security clearance of repeat contractors. Cybersecurity companies such as Iomaxis and IPSecure are expanding their operations at the port, taking some of the space in the new building. IPSecure, a government cybersecurity contractor, is planning to add as many as 50 new employees and will occupy about 12,000-square-feet of the new port building, says Jeff Medina, IPSecure’s director of cyber strategy and integration. Its growth is due in part to two recent government contracts it landed, on which Medina said he couldn’t provide further details. The company is also planning to expand its operations beyond government. It’s testing some of its services for seeking out hackers and monitoring for potential weak points in IT infrastructure with businesses to determine the best route into the commercial market, Medina says. IPSecure is still trying to determine how much of its heavy-duty, military-grade cybersecurity tools clients will actually want, Medina says. Back at Build Sec Foundry, the one-year anniversary is something to celebrate—not just for the incubator but for San Antonio’s broader efforts in cyber security.